Nintendo might be planning on taking on the iPhone and iPod Touch with an app download service of its own, and has been encouraging developers to come up with app-like content for the DSi. The Dsi—at least the Japanese version—currently connects to the DS Shop and DSi Ware, Nintendo's bite-sized gaming store. But according to Developer, the company is allegedly hoping to get shorter-form non-gaming stuff on the device as well-things that could turn your Dsi into a personal lifestyle gadget, rather than just an entertainment one. 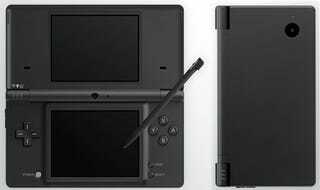 I guess it'd also be a way for the Dsi to really differentiate itself from the DS Lite. While the DSi is definitely more gadgety (what with camera and audio player), many were underwhelmed thanks to what they were losing.